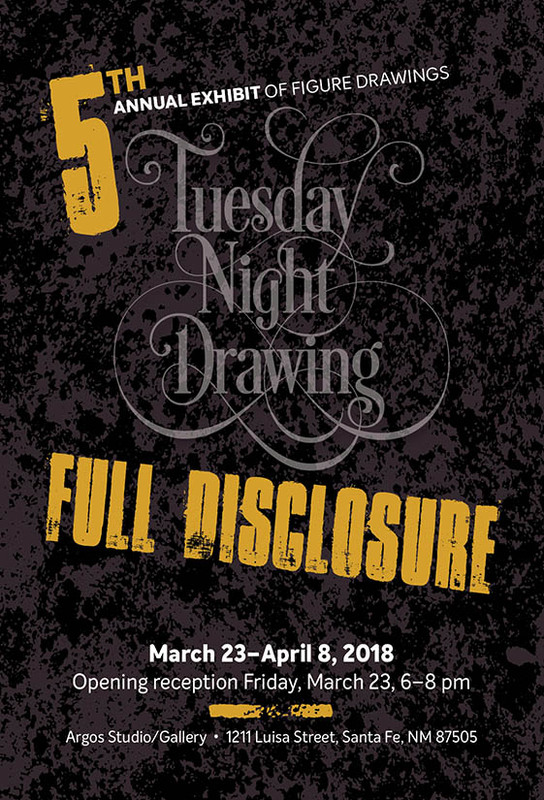 The Tuesday Night Drawing Group’s fifth annual push-pin exhibit of drawings. The Tuesday Night Drawing Group is Santa Fe’s longest-running artists-model drawing group. It originated in Eli Levin’s studio in 1969, and now meets weekly at Argos Studio/Gallery. By tradition, it is a short-pose format and is open to anyone.